In 1892, the Pabst Mansion, the finest Flemish Renaissance revival mansion in America, was constructed in Milwaukee, Wisconsin, to be the lavish home of Captain Frederick Pabst. Over the years, the fate of the Pabst Mansion changed hands several times, but now rests safely in the care of Captain Frederick Pabst Mansion, Inc., an organization focused on the continued restoration of the Pabst Mansion and the preservation of the Pabst Family legacy. 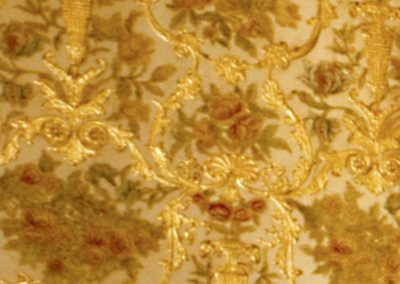 Throughout the century, numerous redecorating efforts turned the Mansion’s elegant interiors into muted, uncomfortable spaces. Original decorating schemes had been completely painted out. 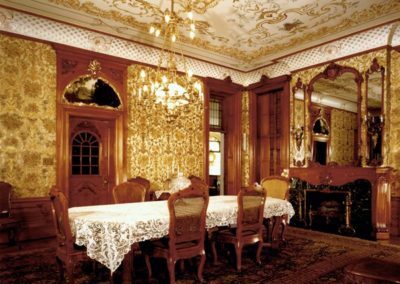 Restoration of these compromised interiors is now the primary concern of Captain Frederick Pabst Mansion, Inc. 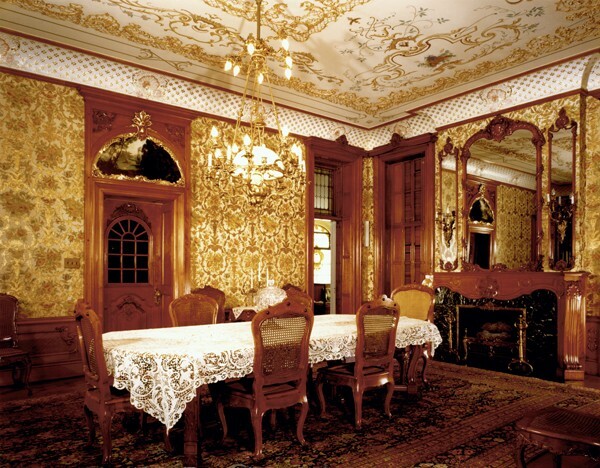 The Ladies’ Parlor at the Pabst Mansion adorned with ornate decorative plaster relief and crown moldings had previously been over painted a drab, solid color. 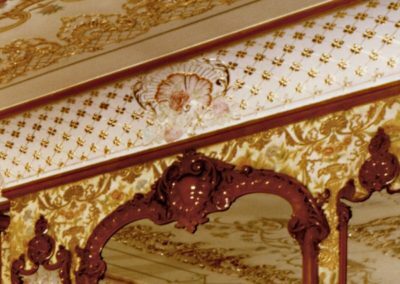 In 1992, the Studio transformed this uninviting space into a warm gathering place with elegant stencil work, decorative painting, and water gilding to draw out the room’s intended richness. The Pabst Family legacy indeed lives on through this inspiring Mansion. 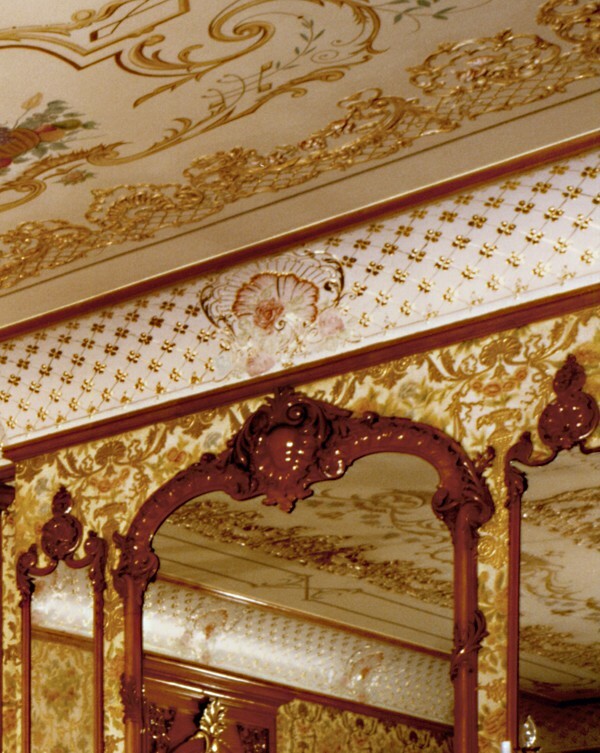 Elaborate stencil work and gilding bring elegance to this Pabst Mansion room.